Last month our household took on the onerous task of waking up at 5:30AM every day (yes even on the weekends). It was our 30 day challenge for August, you can read more about our year of 30 day challenges here. Luckily I enjoy mornings and creating a routine sounded like a good idea. I was not sure what would come of the 30 days, but I figured something would happen. My favorite thing about the 30 day challenges is that my husband and I are doing them together. Although, there are pros and cons to this aspect of our challenges. You either have a built in accountability buddy or a built in buddy you can play hooky with on the regular. We are at the same time the best and worst parts of each other. Any other married couples/couples in general out there relate to me? Last month we were able to hold each other accountable to the early morning wake up call and I have felt very grateful to have a partner in these challenges. While waking up at 5:30AM every morning was great, something else that happened was that I got into an awesome rhythm of going to sleep super early and I developed a ritual in the morning and evening. Most of my morning routine included quickly finding my way to some coffee and then reading a little, but hey, still a ritual... Honestly, the biggest thing that happened was that I began sleeping without my phone by my bed. Usually acting as my alarm clock, I am always quick to plug my phone in next to me wherever I sleep. However, since I was waking up at the same time as my husband I had no use for an alarm clock. Why was this cool and/or important for me? As the month went on, I found myself rolling quickly out of bed at the sound of the alarm because I didn't have my phone to distract me. This is huge for me because I often struggle with scrolling through social media instead of doing my morning ritual (coffee+reading) #guilty. Even though it was a little painful at the start; I definitely missed being able to check on things before going to sleep. And sometimes Kyle falls asleep way faster than I do so I am stuck staring into the darkness, too tired to read but too awake to drift off to sleep myself. In the past I would distract myself with social media but now I am forced to stay present in the solitude and my short term boredom. This is a task that I do not face often enough. Living in a world where we quickly steer ourselves away from boredom and discomfort, I have found that a daily foray into these states of discomfort and boredom have been powerful for me. I have been more present to the morning, less anxious, and more driven to create. It is still easy for me to hide behind technology and get sucked into the lure of an instagram stroll/scroll. But I have certainly developed some distance that has allowed me to build an awareness around my attachment to my phone. Hopefully this post is resonating with some of you because I sound a little like an addict right now!! Often silence and solitude feel overwhelming because we are worried about what will come up for us when we are left alone. If that is scary for you, consider starting small and going from there. Building in moments of solitude and separation from our smart phones could prove to be healthy and beneficial for all of us. Our brains are beginning to be re-wired by our devices, and unfortunately our dependence on technology doesn't seem to be slowing down. Our sleep is struggling and our attention spans are slipping. This post isn't meant to disparage you from using tech, I am merely inviting you to consider a detachment from constantly being entertained. I am also not interested in the doom and gloom message many people like to communicate to get more attention. I believe in the power of neuroplasticity (the way the brain changes and adapts to new stimuli). Because of neuroplasticity we can change and grow, behavior changes and alters may be a little more challenging when you are older, BUT you can still change. It turns out you CAN teach an old dog new tricks. I am currently reading through a new book by Brian Mackenzie, Dr. Andy Galpin, and Phil White called "Unplugged" . This book delves deeply into why it is important for us to disconnect from technology and reconnect to nature. 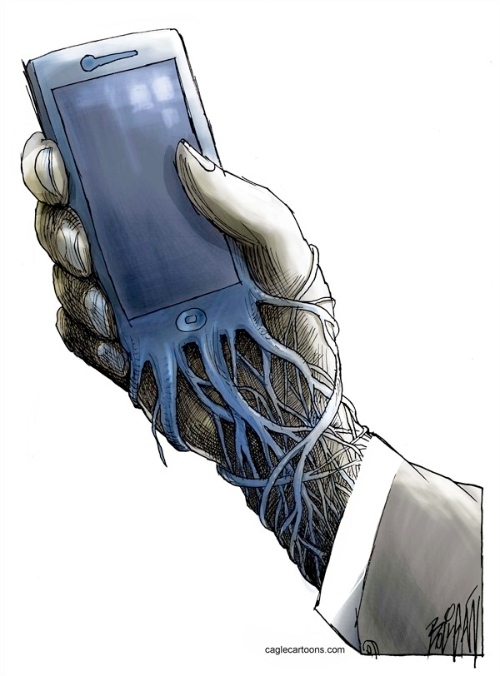 It isn't a chastisement on the use of technology, rather it discusses the misuse and dependency that is prevalent.